A classic American novel is getting a technological touch-up as it begins shooting at Fox Studios. 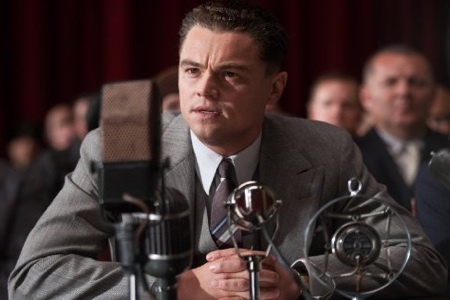 Baz Luhrman directs The Great Gatsby in Sydney with Leonardo DiCaprio as Gatsby and Tobey Maguire as Nick Carraway. F. Scott Fitzgerald will come to life over the course of four months, during which part of the film will be shot in other locations around New South Wales. The story takes place in the roaring American 20’s as lives collide and unravel. Leonardo DiCaprio has already sparked a buzz with an appearance in a Sydney jewelry store with a hooded sweatshirt, hat and sunglasses. The saleswoman didn’t recognize the star and thought he was about to rob the store with his two bodyguards. Leonardo DiCaprio was actually just looking for a gift for his mum — how sweet. Not only is the shoot — at the same location The X Factor Australia is filmed — good for celebrities sightings around Sydney, but its pack of 550 local workers is expected to fuel the economy. Meanwhile, the film costs have gotten a boost from the $20 million earmarked by the government to draw in film and television projects. The film’s total cost is rumoured to be about $125 million, with speculation that part of the price tag will come from the vintage cars Luhrman will lease from a museum in the Midwestern United States. What’s this 3D technology at work exactly? Some new RED EPIC cameras, which will make their Australian debut in The Great Gatsby.